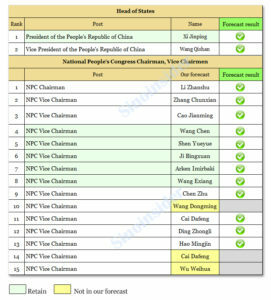 ◎ We correctly picked 12 of the 15 officials who were newly elected to the NPC leadership. On March 17, the 13th National People’s Congress elected China’s president and vice president; the legislature chairman, vice chairs, and secretary-general; and the state Central Military Commission (CMC) chairman and vice chairs. 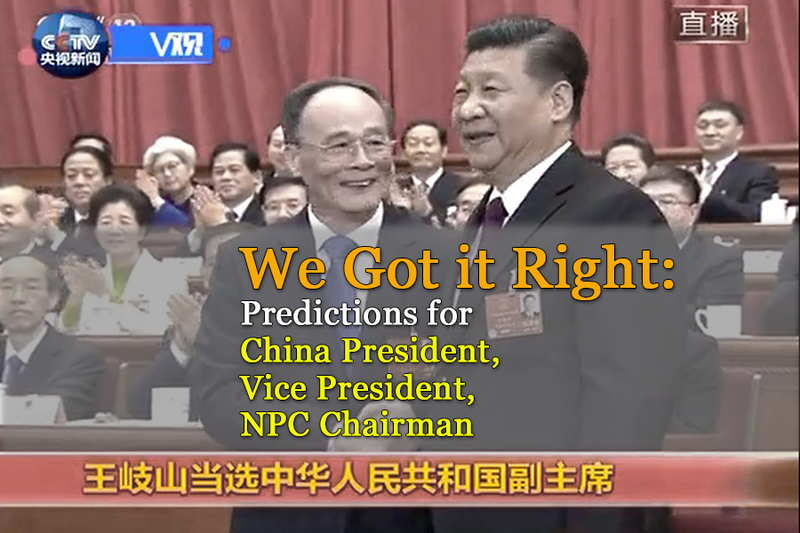 Wang Qishan, whom we analyzed would become vice president in October 2017, was confirmed for the position. Li Zhanshu, the new Politburo Standing Committee member whom we anticipated would head China’s rubber-stamp legislature, was also confirmed as NPC chairman. Xu Qiliang and Zhang Youxia were officially appointed as vice chairmen of the state CMC, a formality given that the Party CMC vice chairs normally hold the state job. We correctly picked 12 of the 15 officials (80 percent accuracy) who were newly elected to the NPC leadership (chairman and vice chairmen). 1. At the root of virtually all economic and social issues in China is elite Chinese politics. And political problems are symptoms of Party factional fighting (neidou). Those who know the core issue driving the factional struggle understand where elite Chinese politics and Xi Jinping is headed. And knowledge of what Xi might be up to is very helpful in discerning and forecasting China’s present and future economic and social situation. At SinoInsider, we have great confidence in our ability to decode elite Chinese politics—frequently referred to as a “black box” by experts and veteran China watchers—because we grasp the core issue behind the Party factional struggle. 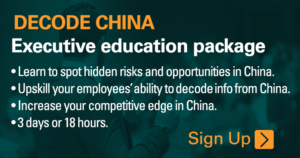 Our knowledge and expertise allow us to develop a unique research methodology that can forecast top personnel movement in China with unprecedented accuracy. Using the same research methodology, we can also assess political risk in China with a high degree of accuracy. 2. China has been operating under different political rules since Xi took office in 2012. Multinationals that are unaware of the shift have paid costly fines or made political investments in the wrong official (even glowing profiles in reputable media outlets can be misleading). Making decisions about China has become more complicated since the election of Donald Trump as United States president. Executives that don’t understand why Trump is treating Xi and China differently would be less prepared for the huge changes that are coming. 3. Our political situation advisory services can help companies in China looking to navigate risk and discover business opportunities.